Cabinets Bay Area is committed to provide various options to fit your budget and design needs , our main area of pride are our custom cabinets. 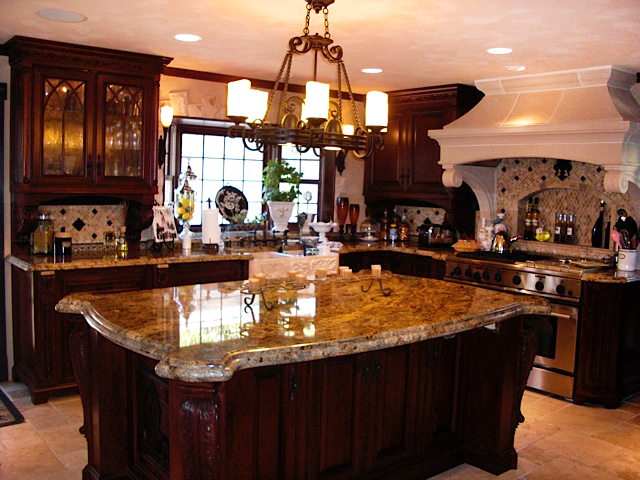 From the design, to the manufacture and the installation of the cabinets, we are a one stop shop. We take custom cabinet projects from a homeowner, architect, designer, or contractor through the design process, to the manufacturing of the cabinets, and after shop visits and revisions, delivering the final cabinet for installation. A great custom kitchen cabinet in Morgan Hill CA, featuring wine built refrigerator, lifted up hood, built in 48″ zub zero 10´refrigerator island cabinet with overhang seating area, built in cofee maker, trash compactor, european style construction with classic molding details, island legs rope shape moldings, oversiza glass door cabinet, definitelya social get together feeling. 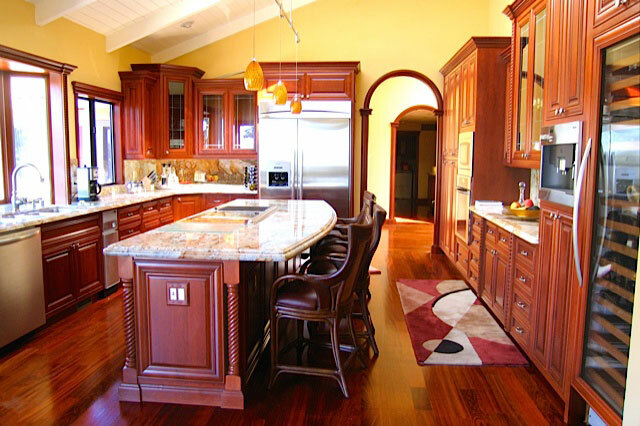 Why choose custom cabinets over refacing or modular cabinets? For some, refacing may not be an option. Many times cabinets are too old to reface or refinish and may be suffering from too much water damage or heat exposure to be repaired. In other occasions, our clients may want a completely new look for their kitchen changing the positions of major appliances, such as the cooktop, oven, refrigerator, and sink as well as the overall style of the kitchen. These major changes require the versatility of custom cabinetry. Custom cabinets allow our clients to create a personalized and unique space. Like snowflakes, no two custom cabinets are alike. In conjunction with the cabinetmaker and HEMA Designs designers, we will create the drawings for your kitchen based on your specific needs and criteria. Not only do we focus on versatility and functionality, but style and overall beauty are major concerns. Each piece hand-crafted in our San Jose warehouse, you can be assured that your cabinets have been made in the U.S.A., using the best materials, and with local carpenters dedicated to the art of cabinet making. Get the Kitchen of Your Dreams and Save Thousands of Dollars!